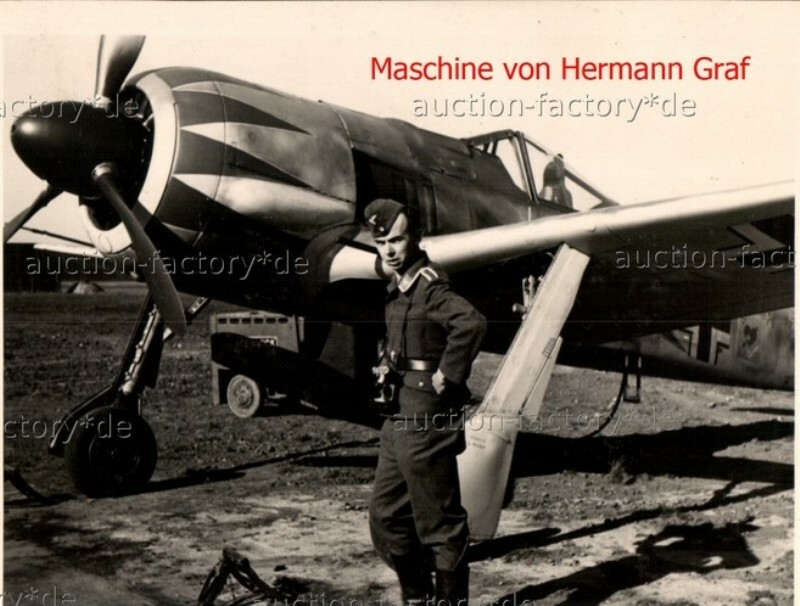 Hermann Graf flew at least two colourful Fw 190 As during his time with JGr.Ost - these were a Fw 190 A-4 WNr 634 as well as a Fw 190 A-5 WNr 2594, both of which can be ascertained from photos. However there seems to be confusion about which aircraft is which in published sources, most claiming that the aircraft had been repainted several times although I somehow doubt the complicated pattern of decorations and emblems invited frequent redecoration of the two aircraft in the short period Graf had the posting to JGr. Ost. 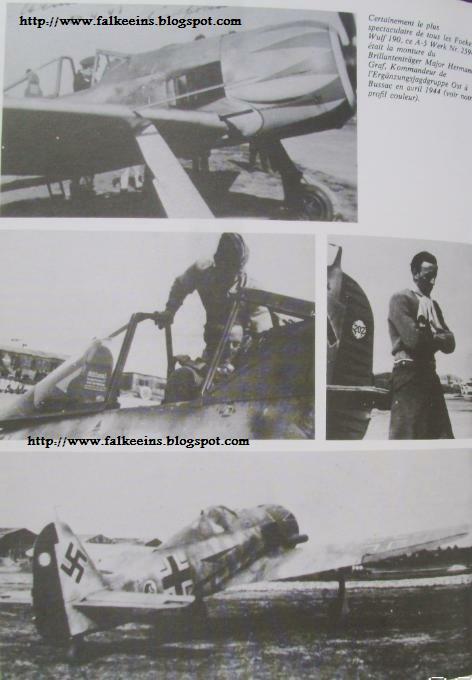 This incidentally was only from the beginning of February 1943 to late May '43 or some days into June, since he reported back to Wiesbaden-Erbenheim on 11 June 1943 for his next assignment – four months on two aircraft. 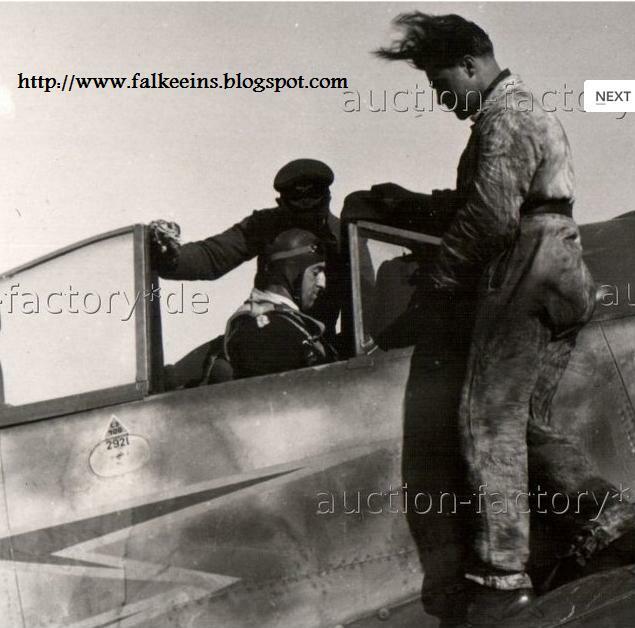 According to what can be concluded from the images studied the Fw 190 A-4 was the aircraft with a yellow engine cowling decorated with the tulip pattern while the Fw 190 A-5 had a standard camouflage on the cowling and a similar tulip decoration. There were also other small differences in markings between the two a/c. At some point one of these aircraft was fitted with the 'high altitude ram intakes' and it is difficult to say which one exactly. The 'tulip decoration' seems to have had white outlines on red flames. 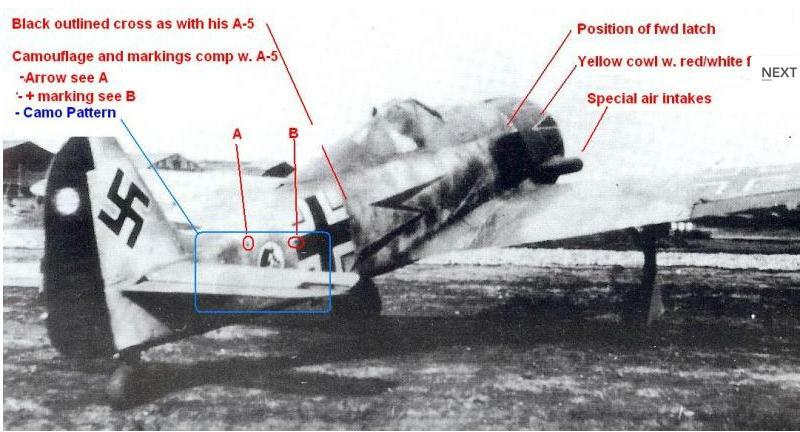 The main wheels were of the 'eight-hole' type as was common with earlier Fw 190 As. All the images here appear to show the A-5 WNr. 2594. Click on the images for a closer view. 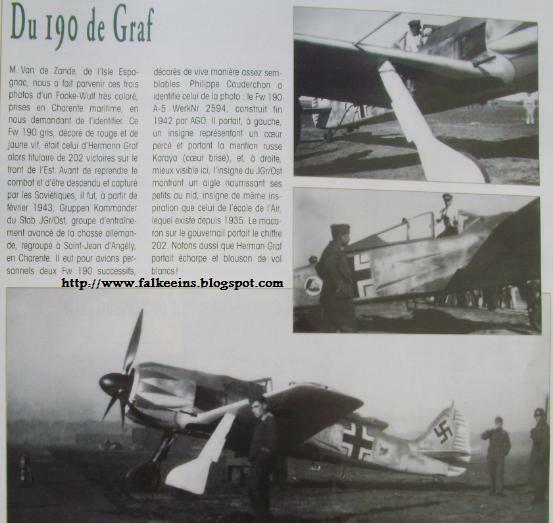 References inlcude Ebay auctions, Le Focke Wulf 190 by Lorant and Frappé (Docavia) and the November 2000 issue of Le Fana de l'Aviation.